August 2017 Master Kay Trap Beats are finally out now!!! This time the theme of August beats is “Infinite Sky” which makes listeners to infinitely play them with natural sounds trapped soulfully compilation. Welcome to new season with new sounds. Enjoy and share. We all know Master Kay is now currently at top3 university in South Africa, University of Pretoria but he is promising to give us his taste of new beats each an every month starting from now on. On January 1st, 2017, Master Kay was called from Mzansi Insider, SABC 1 for the first time on the show but obviously for it was not his first time on television. The funny part is that he did not perform his music, had an interview or did any music related stuff. He was asked to battle with another comedian as a surprise. The media said that he was choking and had stage fright but he tried to make some jokes. As an inexperienced comedian, he lost. After that show, he apologized to his fans on Twitter and Facebook but then #TeamMasterKay was so positive in the comments. Nevertheless, he did not lose anything as they were doing it for fun. No prizes are won, it was just a “Rapper vs. Comedian” surprise show. 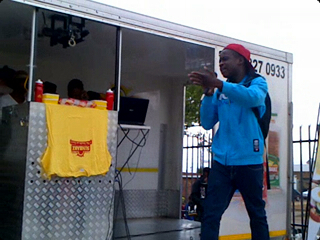 After the show, ‘Zikiphani‘ asked him a question, “How do you feel about losing?”. “I can’t say I lost. I just didn’t prepare. It was a spur at the moment thing. However, I am satisfied because I gained some experience as Mzansi Insider gave me the platform. Being exposed to the whole South Africa on TV feels good… (laughed)”. Description: A 16 year old rapper Master Kay from Atteridgeville finally managed to collaborate with international rapper once again and this time he does it with an inspirational and talented rapper from Ghana who goes by the name of Reinny Ray. The song has been mentioned on Tshwane Sun newspaper November’s issue before it was released, now it is out and sizzling making Trapquake. It is also available on popular websites like Waptrick.com, Zamob.com, everywhere. A 16 year old Young King from Atteridgeville, Pretoria is back again, not just alone but with FIRE!!! Master Kay last released his single titled “Success Is Calling”, he premiered it live on Tshwane FM on HoodBase Hip Hop show on June, 28. 2015. That song amazingly reached 6 000 downloads in just first 4 days after release, it was trending and still trending. Now it is downloadable on biggest websites in South Africa called Waptrick.com, Zamob.com and Zonkewap.com. The song penetrated Pheli streets and even ended up positioned number 2 on Tshwane FM as Top 5 hottest jams of the week for 3 weeks. Since June after “Success Is Calling” release fans has been striking for more music from him but unfortunately he is still a young boy who is still a student so examinations came to his thoughts and his two hands, he had to take a music break and obviously focus on exams. Although, he is the master so he managed time for music and he even decided to give us some piece of cake which seems to be sweet! Meaning he is releasing a new song titled “Greatness” around November and he is collaborating with a rapper from Ghana who got those “Sarkodie-Type Flows”, he goes by the name of Reinny Ray and the instrumentals of the song is produced by Zoocci Coke Dope who is a SAHHA award nominee and worked with artists like Cassper Nyovest, Chad Da Don, Ex Global and again he is the producer behind the instrumentals “Freedom or Fame” by Blaklez feat. Reason & PRO. This is getting exciting already! ‘Ghana Meets South Africa’. The youngest rapper in Pretoria, Master Kay, is still putting Atteridgeville on the map even today. He even launch his own clothing line with his name “Master Kay” on the caps and t-shirts. We just hope that he will keep on giving us this good things even next year even though he will be busy because he will be a Matriculant. YES! 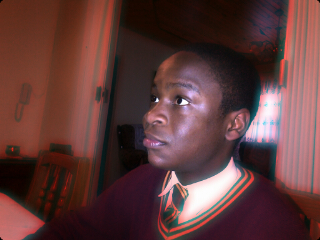 The smart Kay is going to Matric next year 2016. It’s such a blessing to have people like Master Kay in Atteridgeville. He is not committed to drugs like many artists and he is not doing any other bad things which may influence his life-focus. What a blessed boy! Immediately when Master Kay is done with his term 3 school examination he is penetrating stages! Last night, 02, Oct. 2015 Master Kay left people crying his name after his performance at Jopas Place around his hood after performing a hit track “Success Is Calling“. Tonight, 03 Oct. 2015 he will be performing at Marafco Lounge and Mavhele Pub at Sunnyside, PTA. Yes! He have 2 performances tonight! Make sure you don’t miss these performances coming with a streamline or else you’ll only be streaming his performances via YouTube. During Master Kay’s radio interview on Tshwane FM he said that he want to be back on TV again and amazingly HE IS BACK ON TV AGAIN!!! On Thursday, 17 Sep. 2015 he was shooting an advertisement with Titans team, one of Rugby teams. He’s been posting pictures on Instagram when he was busy behind the scenes. It seems like he was enjoying himself. You can also follow him on Instagram to see pictures/videos: Master Kay’s Instagram. There’s a possibility of an advert to appear on SABC or one of Supersport channel on DStv. Keep your eyes glued for more info! 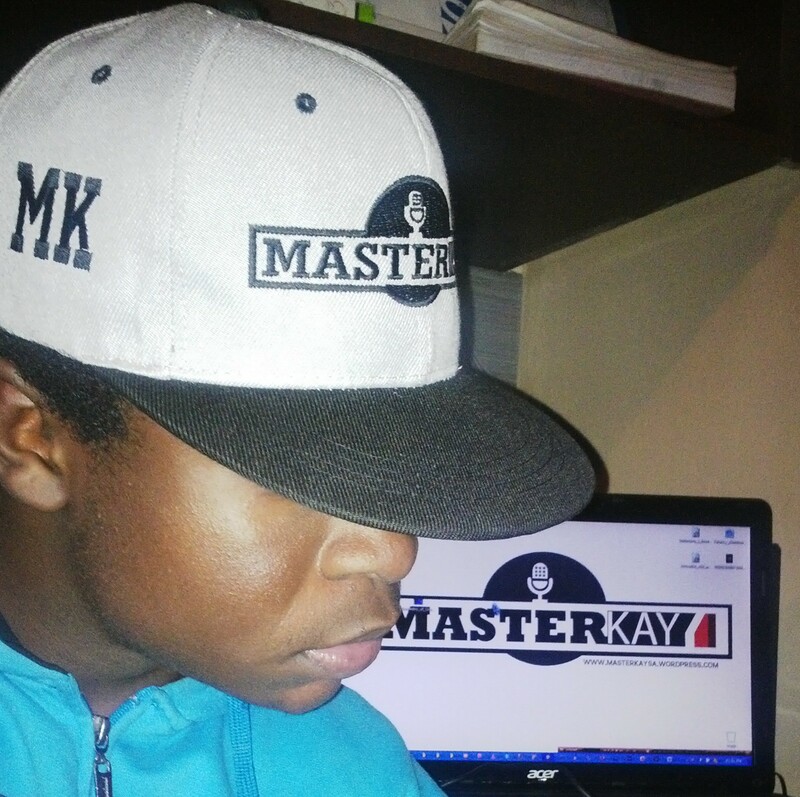 Master Kay’s snapback caps are OUT!!! Order your own Master Kay snapback now! Success Is Seriously Calling Master Kay! 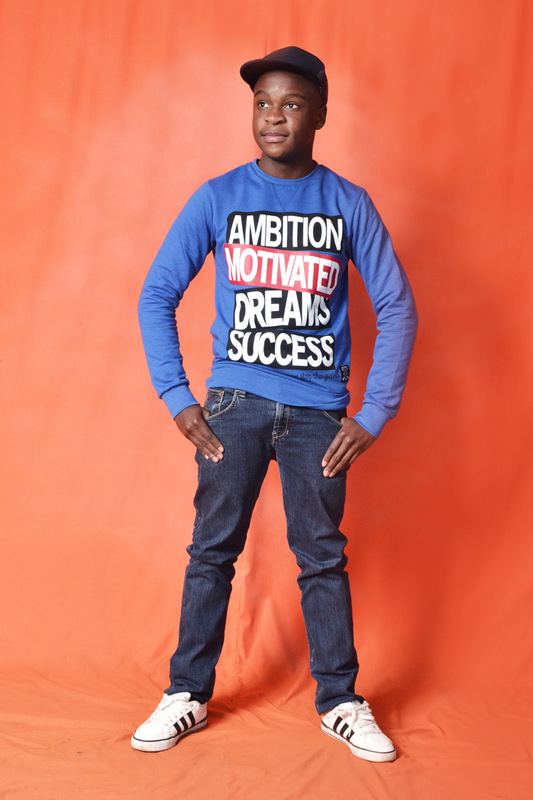 That hit-single of Master Kay titled “Success Is Calling” is now doing huge numbers. Is now currently sitting on over 4 000 downloads via Hulkshare. This morning it was placed on SA popular websites like Waptrick.com, Zonkewap.com, Zamob.com and Wapkid.com in the same category with big SA Hip Hop acts like Cassper Nyovest, Riky Rick, Kwesta, Gigi Lamayne and etc. All these achievements happened within 7 days after release. It is inspiring and grateful to see a 16 year old SA rapper doing numbers and representing Pretoria like this! 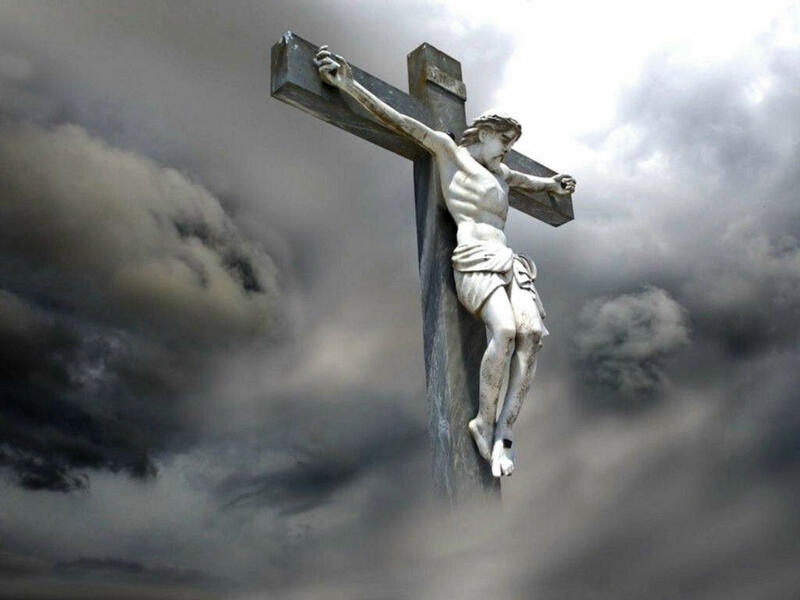 God is really with him. Finally! Master-Kay premiered his first song of the year 2015, a hit-track on Sunday, 28 June 2015 live on Tshwane FM (93.6) hosted by DJ Nantes. Now the song is doing air waves around websites, blogs and radios. In 40 mins after release it was sitting firmly at more than 460 downloads along with crazy good feedback from the fans. Some already doing some Fan Signs as photos for him and tweet! It’s crazy, insane, sick and amazing to see a 16 year old rapper doing all this on his own! Yes! On his own, he produced the beat of it, written the lyrics of it, did some engineering by mixing and mastering it all alone. He’s not only regarded as a rapper only, because he’s also a good producer. Just get the song and hear the “epicness” that the fans heard! 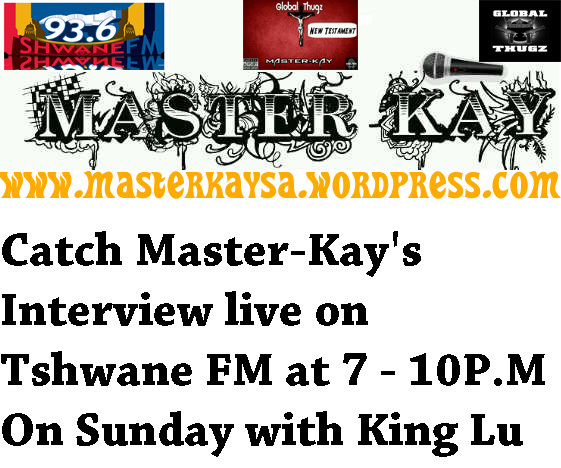 Master-Kay’s Interview On Tshwane FM This Sunday! Master is finally back on the track with great news. He have a radio interview on Tshwane FM (93.6) this Sunday. Please stay tuned as he premier his first 2015 song titled “Success Is Calling” and also going to talk about his own upcoming clothing line. YES! You’re right! Soon he will be wearing himself along with his amazing true fans, #TeamMasterKay who will be buying the clothes! Finally! 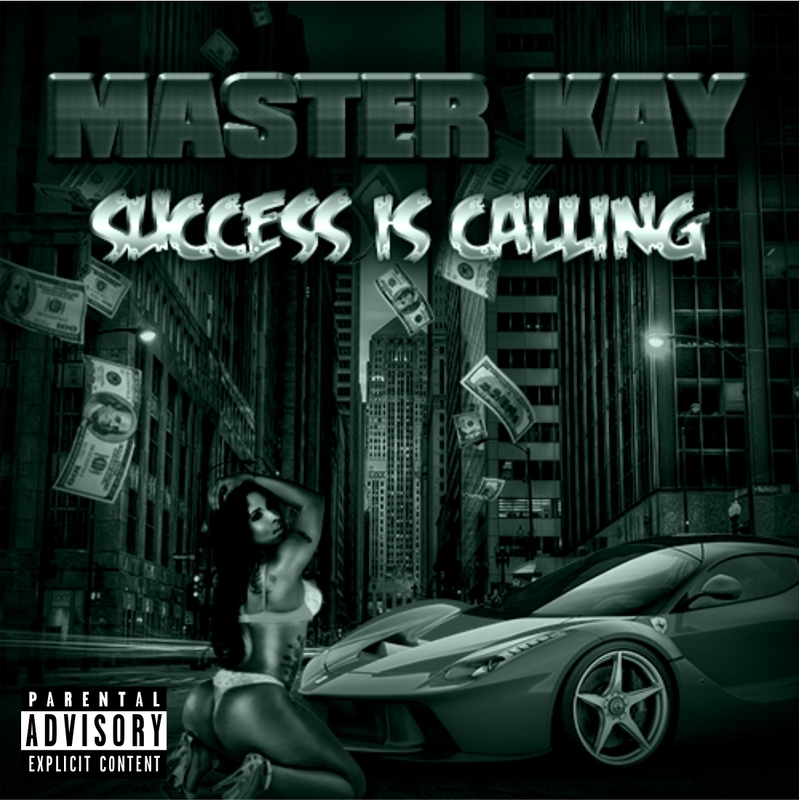 Master-Kay’s new first hit song of 2015 titled “Success Is Calling” is coming real soon! The song might be delayed due to term 2 examinations that already started, so please be patient. The snippet of it is available “HERE“. It is expected to be released on Tshwane FM in Pretoria or BakGat radio show in Johannesburg. #TeamMasterKay must be ready for it and share the good news with other #TeamMasterKay worldwide. If you believe in SUCCESS and a realest fan hash tag “#SuccessIsCalling” in whatever you do. Master-Kay’s New Testament Tour is still on even today. A 16 year old rapper is still making sold out shows even today. 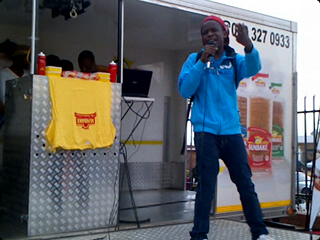 On 11 April 2015 Master-Kay is performing at Rusternburg at Cynthia’s place. The show will start from 19h00 until 24h00 but Master-Kay will be entertaining and make the stage to be on fire for only 10 minutes, he begin at 20h10 and finish at 20h20. It can sound like 10 minutes is not enough but if you come there you will enjoy it. Photographs and signatures for the fans will be allowed in back stage after his performance. On this day, 02 March, Kgosi-Etsile Dube famously known as “Master-Kay” was born in this world! This day is so special! It was the day when God gave us a Young King who is always inspiring children. In South Africa we have scarce of teenagers who are doing good for their future, especially in what they love to do. Many of them are not doing good in their future, they are adopted by drugs that leads them to no education & no education leads them to no future. Just like the way Master-Kay quoted on his BakGat radio interview when he was 14 years old in 2013, “I know I’m now about to be famous and all that but I will never stop going to school because education doesn’t require rich, fame or poor.”. Today Master-Kay is turning 16. Bye-bye to 15. Another year, another success, another victory and good music to be expected from Him! Special Thanks to Tshwane FM & Y FM for wishing him a happy birthday on air! Plus a tweet from Tshwane TV also wishing him a happy birthday! 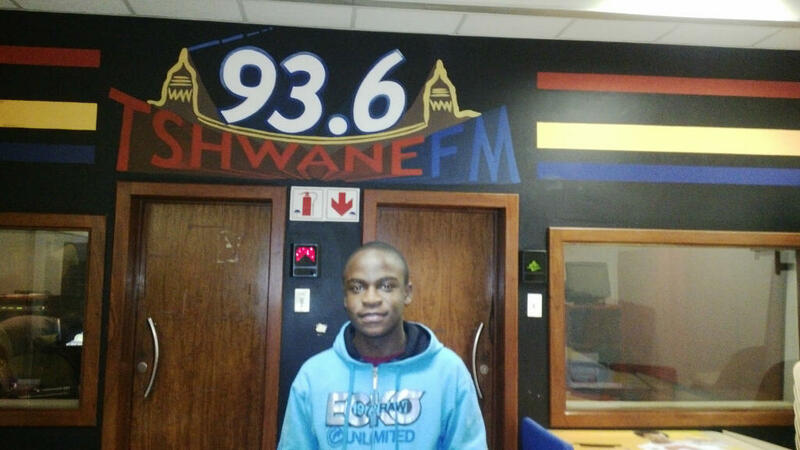 On 04 January 2015, Tshwane FM announced Master Kay as one of the best artists that came up in 2014 with good music. He got position number 8. He made it in top 10 out of the whole rappers in Pretoria with his unique Trap Music. 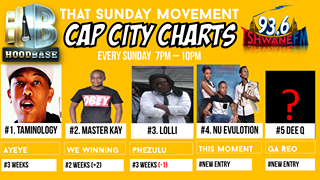 On last Sunday of the year 2014, 31 December “We Winning” song which is a bonus and trending track by Master Kay featuring WestCoast Cizzle from New Testament mixtape has peaked at number 15 on the Tshwane FM Top 30 chart of the year 2014. Finally a youngest talented rapper in Pretoria just appeared on Daily Sun newspaper and this is exciting because he’s only 15 and this is his first issue on a newspaper!!! 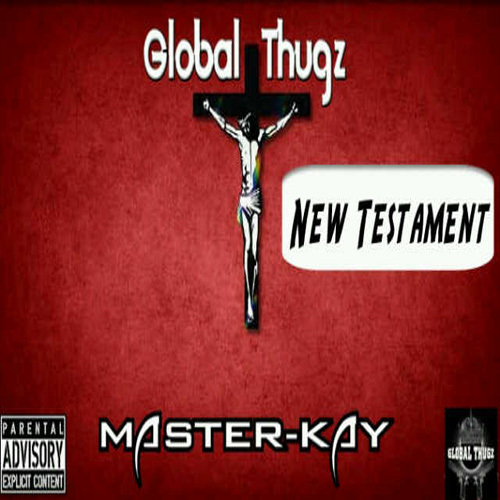 New Testament mixtape by Master-Kay released! Finally Master Kay released his mixtape that everybody was expecting before the end of 2014, New Testament and is now available on Datpiff for absolutely FREE!!! His 1st single that he released from New Testament “We Winning” ft. Westcoast Cizzle was on Tshwane FM top 5 for 2 weeks, it was also playlisted on Elegant Hoodness radio which is in USA and made it on the most popular website in SA called Waptrick.com & his 2nd single “My Ambition” have also created a buzz on radio stations earning him a lot of respect among the media circles. Master-Kay has 12 completed tracks which are incorporated within New Testament mixtape featuring both international and local talented artists like Westcoast Cizzle, Gramzunkut, Peta Lacore, Stormy, Citty Boii, King Lu, T-Buck, Global Thugz, Yum Yum and his step-father known as Prince E. He produced 10 tracks out of the mixtape by himself with his crazy Trap Beats of his. 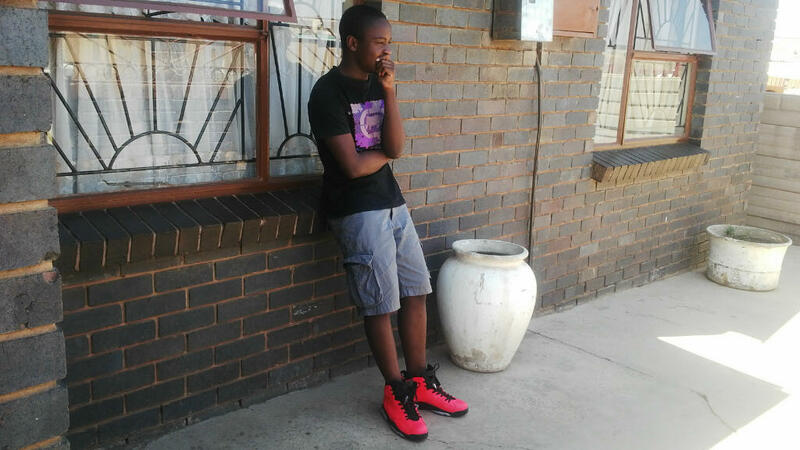 Speaking of Master-Kay’s Trap Beats, he is recognized as the only best teen Trap Music producer in Pretoria. New Testament was officially released on 05 December 2014. Is exciting, energetic and something different that can play on your ears. Go & download it for free “HERE“. So Master-Kay just decided to show his fans some piece of his incredibly happy life and some tours of New Testament that he was touring the whole time trying to promote himself all over locations in Pretoria. You can see this most-talked about video on YouTube by clicking » “HERE“. “My Ambition” by Master-Kay has won on Tshwane FM and it was playlisted on BakGat radio & also Y FM once. This song is written and produced by the one and only 15 year old talented rapper Master-Kay. If you don’t have this jamming track go & download it. It’s everywhere now!!! From 07 August to 07 September Master-Kay disappeared on every social network and media. He was completely off. Many people always wondering what he was doing the whole time so quiet. Well, Master-Kay is just a 15 year old boy who’s still in high school remember? So the day he got back again on social networks he told Fans that he was busy preparing for examinations that are coming ahead around September, which is term 3. He promised Fans last time on his Tshwane FM radio interview that he’ll release a very hot banger track “My Ambition“. Just because he was unavailable, he couldn’t do as he promised the Fans & he’s apologizing for doing that, things didn’t work as he planned. Anyway, great news for the Fans! He promised to release it before month end of September and this time he won’t disappoint you, Team Master Kay. A 15 year old Trap rapper Master-Kay got interviewed on 27 July 2014 live and directly on number one radio station in Pretoria, Tshwane FM (93.6). He’s also recognised as the first teen rapper in the whole Pretoria to be live on air on radio station and also the first rapper that make trap music in Atteridgeville & Saulsville, said DJ Nantes (Tshwane FM DJ). He was not alone on the interview. 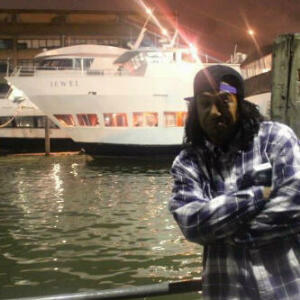 He came with 2 guests which is Prince E (his step-father) & King Lu (new Global Thugz member). “The day after the interview my schoolmates went so crazy, everybody was staring, everybody was cheering my name, everybody was respecting, saluting & congratulating me. It was an amazing feeling & experience. 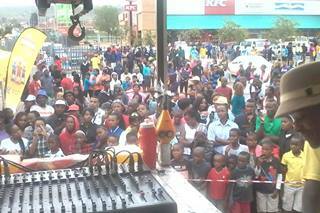 Big shout-out to DJ Nantes and Tshwane FM”, said Master-Kay. Master-Kay will be interviewed on Tshwane FM on 27 July 2014 from 7 – 10 PM. Tune in because you’ll also hear his new track “My Ambition. Is like he’s owning Hoodbase Show hosted by DJ Nanties that is on Tshwane FM 93.6 with his banging track “We Winning feat. Westcoast Cizzle. Last time his track has won on Stay or Go feature on Tshwane FM and also been aired on Bakgat radio on the very same day. On 22 June 2014 the track made it on Tshwane FM Best Hip-Hop chart and it was sitting on number 4. He performed it at House 22 Club and the crowd was going left, right, backwards, forward and centre dancing for it. On 29 June 2014 he made it again on Tshwane FM chart and this time he was sitting tightly on number 2. This boy is climbing a ladder of success. He’s the first teen rapper in Atteridgeville & Saulsville who made it on most popular website that get more than 100 000 views per month which is ZAmob. You can download his latest track “We Winning on the link below. Master-Kay has done it again!!! Master-Kay has done it again with more fire!!! 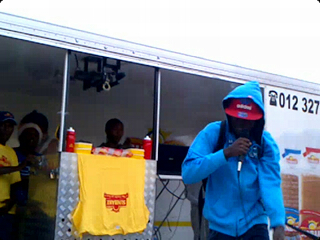 This amazing rapper has won on Stay Or Go feature on Tshwane FM 93.6 – 25 May 2014. His tracks was doing some rotations on Tshwane FM, but this time he didn’t only do a rotation, he did something called “Victory”. Yes! His track featuring WestCoast Cizzle titled “We Winning“. On 17 May 2014 he performed it but without Cizzle. He just killed it alone on stage excluding Cizzle’s verse. Everybody was dancing up & down, left, right & centre! We Winning is still trending all over the radio stations and everywhere. New Testament mixtape is taking over! 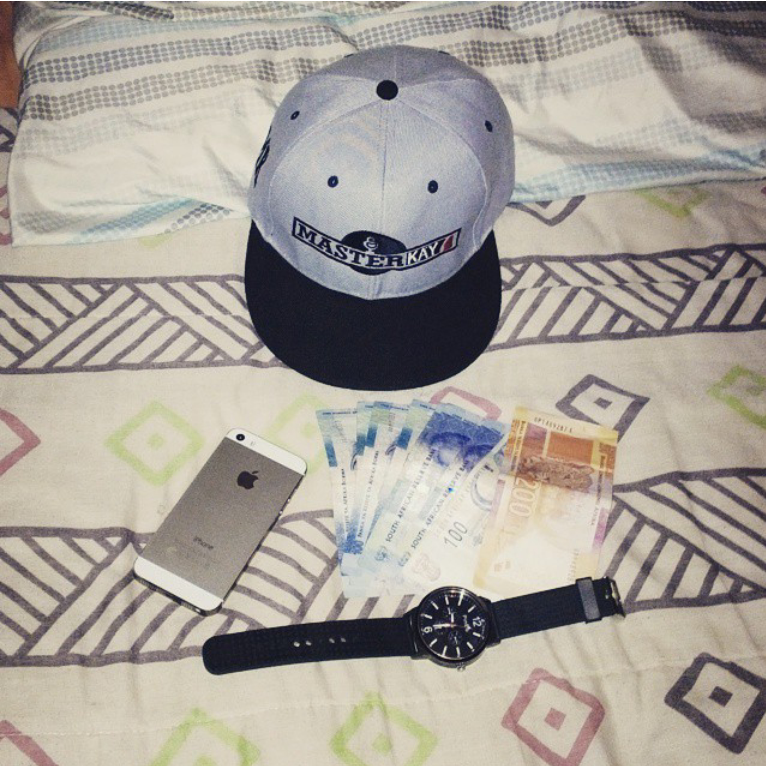 You already know the hash-tag #MyNiggaImWinning!!! Master-Kay featuring American rapper again! Master-Kay has collaborated with Bryant Leflore AKA Westcoast Cizzle all the way from US, California. This is New Testament. The success that Master was talking about has already begun! Lyrics of Born Again are available on RapGenius and other best sources! Global Thugz & Master-Kay on a collaboration again with a new style of Thug & Trap for the very best first time! It’s Peta Lacore, Louie Da Franchize, New York Citty Boi, & Kelo AKA Gramzunkut on that Master-Kay Trap Beat. 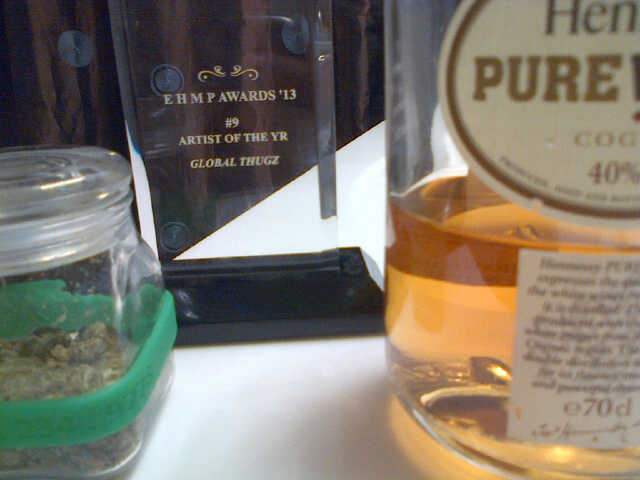 We Global Thugz are nominated for 4 Awards this year I need ya’ll to show some muthafucking luv my peoples. Master-Kay is now cooking a mixtape called New Testament. New Testament is a mixtape that will change people’s life in many different ways, especially if you’re a not a believer of Jesus Christ who died for our sins. This mixtape is explains itself, every single track from it is concerning about a Bible in a book of New Testament. So Master-Kay is releasing a second track from New Testament mixtape titled Born Again where he talks about how great and perfect your life will be if you’re born again Christian and how bad and useless it is if you’re unborn again. This track already touched many souls. He wrote the lyrics of it on December, 18. 2013 then produced a beat of it on January, 02. 2014 alone at his room. 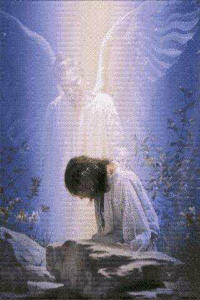 “This is a talent that God gave me to show and fascinate other people to see how great is God”, said Master-Kay. Master-Kay Trap Beats is back again with a Bang on top of Greatness! Master has Kayed with Trey Mash from Pretoria. It’s all about #MKTB (Master-Kay Trap Beat). Two Best Youngest Pretorians made it to the top. This track is now playing on best radio stations like Tshwane FM – HoodBase show. Trey Mash is releasing a mixtape on December, 24. 2013, Angels In The City. On December, 06. 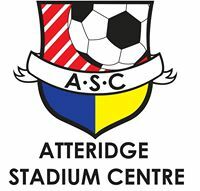 2013 a 14 year old Student-Rapper was making an earthquake at Atteridge Stadium Centre. Over 200 people were there insanely because of Master-Kay Music. Shout-Out to the haters who’ve been supporting! On November, 04. 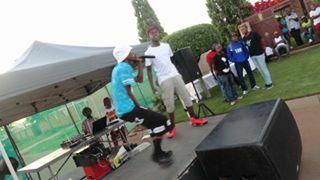 2013 a 14 year old Entertainer just got signed by Award winner of best label of the year, Global Thugz. This is for the first time Global Thugz sign a teen and this attracted many Bloggers, and other best sources like Wikipedia. Master-Kay proved to many musicians that music is real only if you believe in what you do. He also said if you want to fulfill your dreams in life you must be a passionate, and patient person. You must take advises from people, don’t just take it and put it on a pocket with a hole but take it and approve it. 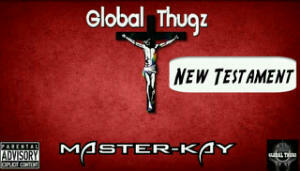 GTz (Global Thugz) is has now officially signed Master-Kay from South Africa, Gauteng, Pretoria. Gist360 TV interviewed Master-Kay about YoungMaster Award that he have won on September, 01. 13 that it was held in Northern Cape, Galeshewe stadium and also about a collaboration that he made with Kelo from Global Thugz in United States of America, New York City. Master-Kay featured Panakul. A website where you find everything about media. Master-Kay is always happy because it seems like he is featuring a Blog or a Website every single week! Check it for yourself and Comment! Master-Kay’s attraction is on again! Master-Kay featured Top Rated Blog of entertainment, where you find everything about entertainment. The feature is about a Blog that is gonna be launched on November. Master-Kay has featured most highly popular sources in Nigeria where all great artists and entertainers belongs. The concept of this source it’s all about Master-Kay! On October, 27. 2013 Master-Kay had a interview on BakGat Radio from Johannesburg. The interview was all about Global News Live Blog that is going to be launched on November and about Nothing Mixtape. The good thing about this Mixtape is that great artists have been collaborated in it such as Kelo AKA Gramzunkut representing Global Thugz from USA, NYC, and V.I.P from SA, Pretoria representing SRMG and the Mixtape is FREE. 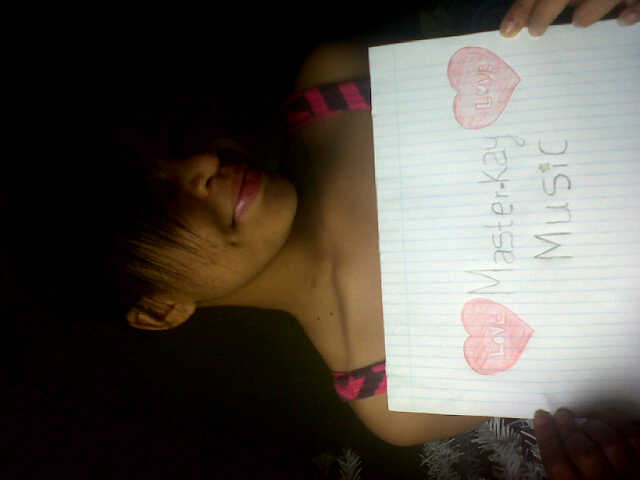 Master-Kay grew up in South Africa, Gauteng. He started making beats when he was 11 years old. He was taught by his dream. He later met up with known rappers on social networks. He used to listen to Rick Ross music because his cousin is listening to Rick Ross music too. The way he’s adoring music when he bath Rick Ross music was playing through a cellphone on bathroom while he’s bathing. Starting from November until the end visit this Blog every single day between 6 – 9 P.M to be updated to everything that is happening around in this universe. You know, I know & we both know that Master-Kay is a Master! He released a new track with Kelo from NYC. This is what people from New York City has been waiting for. Kelo is a known artist, he has collaborated with Machine Gun Kelly (MGK), Dubo and such and such. The track has been sliding & flipping on October, 01. 2013. I swear it has bombed Hip-Hop artists greater than Iraq bombs. 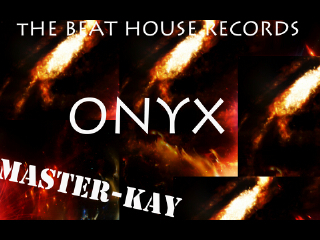 Gossip Tube News from United Kingdom (UK) heard one of Master-Kay Beats then they Tweeted to the public saying Master-Kay stole Lex Luger’s beat then made it as if it is his. Master-Kay didn’t reply back to the tweet because he know that he’s not a Snitch and he won’t be a Snitch. He was angry and Fans were disappointed. Eventually, he made another Trap Beat titled “Villian”. Reason why is titled Villian is that the media thinks he is a Villian on the making of Trap Beats but he’s not. Please Comment. Thank you, Fans & Haters. It was Friday so Master-Kay was very bored, then he decided to play video games and he was playing GTA I.V. He was on the last hard mission. Eventually, he passed that mission. He was thrilling happy because he has been stuck on that mission for 4 weeks now he passed it! Then his ecstasy of completing a mission took him to that extend of making a beat then he made a Trap Beat which took only 30 minutes to be done. Is titled “Mission Complete”. You may find it on the following link below for FREE. 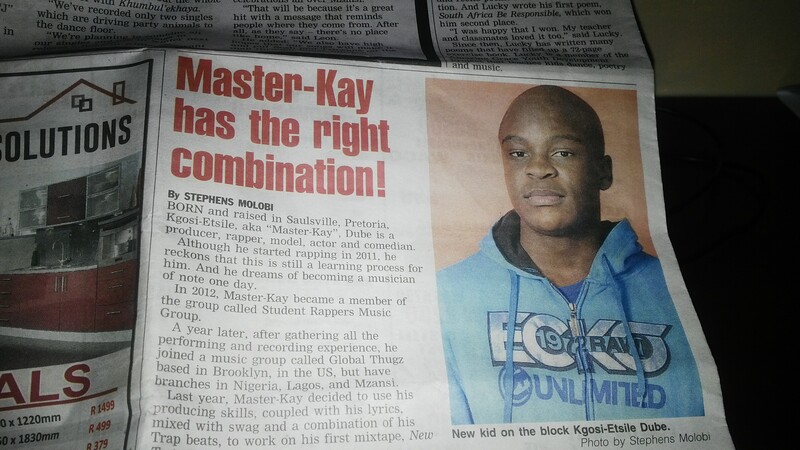 On 30 November 2015’s Tshwane Sun newspaper issue Master Kay appeared! All the way from US. Thanks for the love, guys & everybody who has been DM’ing me showing me love. I can’t post everyone but reply to everyone. 🇺🇸❤️🇿🇦. Also, peep my new SoundCloud beats!